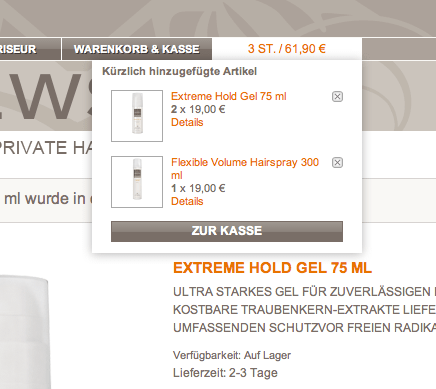 Cartview is a free Magento extension which shows the customers cart in a styleable container. It can be used as a replacement for the ‚My Cart‘ link in the header or as an individual block element. The extension uses the sidebar cart for rendering. Everything can be easily styled by css. Tested with default, modern and custom themes. This entry was posted on Mittwoch, 20. Februar 2013 at 3:01 pm and is filed under Magento. You can follow any responses to this entry through the RSS 2.0 feed. You can leave a response, or trackback from your own site. I run 1.7.0.2 and I dont have local.xml in the directory as you say edit! I created new local.xml and uploaded into mentioned directory (/app/design/frontend/default/your_skin/layout/).